There is no way to make any sense of the madness that transpired this past week in Colorado as twelve people died and close to sixty were injured as a lone gunman entered a screening of Dark Knight Rises and opened fire on the unsuspecting crowd. Watching the news filter out of Aurora, Colorado provided another glimpse into how new media continues to change the way we get news, information and reporting. In fact, it became abundantly clear, that lumping all three of those into the same bucket may no longer be the way in which we consume, create and share media. One of the immediate issues that arose when blogging started to become more and more popular was the discourse as to whether or not bloggers can, should and/or would ever be considered journalists. It’s an understandable predicament, as professional journalists hold their work and the industry that they serve in the highest regard (which is completely understandable). 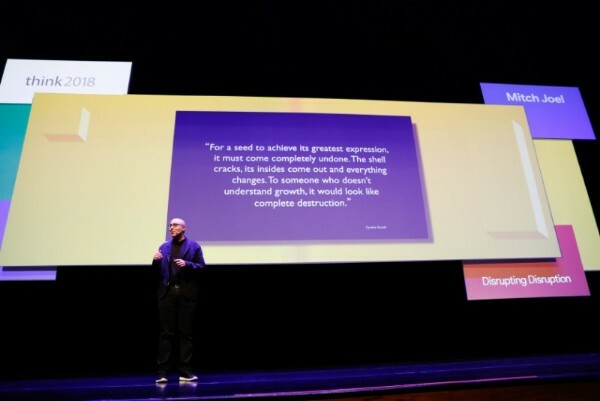 The challenge – as Clay Shirky (author of Here Comes Everybody and Cognitive Surplus) has pointed out – is that publishing shifted from a very complex process (to both create and distribute) to a simple button that anyone can press on a myriad of devices. News just doesn’t come from one trusted source. Our news comes from everywhere and – what we’re quickly learning – is that it’s not just the editors and curators that are going to save us from figuring out what is fact from fiction and opinion. Tweets, Facebook updates, instant video streaming from mobile devices, Instagram photos and more are giving each and every one of us real-time publishing and distribution tools. If we’re going to get better at creating media that is accurate, there is going to need to be an earnest effort on behalf of government, educational institutions, parents and the common person (that’s you and I) to better educate our society as to what media is (from both a consumption and production perspective). Part of the reason we’re having an increased challenge in sorting the wheat from the chaff (and part of the reason that fake celebrity death reports on Twitter and the like happen) is because we’re used to seeing something published and believing it (look no further than celebrity tabloid newspapers and their headlines). We trust media. We don’t, necessarily, understand media. Each and everyday, you can pop on to Twitter, Facebook and the like, to see how bad we are at consuming a piece of content. Links get shared and retweeted at a fast and furious pace with a vast majority of people simply sharing information without having ever clicked on the link to verify the information for themselves (I’ve done this myself, on several occasions). It would be simple enough to simply educate people that they should click links first, read the content, understand the source and do some of their own primary research prior to sharing, but let’s face it: hitting the retweet button is just that much easier. And, if we’re wrong and it’s a mistake, we can simply send out another tweet ("whoops, my bad… that was wrong!") or we can simply say nothing (which is how the vast majority handle it). Where do we go for the truth… the whole truth and nothing but the truth? Some will tell you places like CNN and other "reliable sources." In a world where everyone is creating and sharing and investigating, we’ve also uncovered that our most reliable news sources are somewhat opinionated and often wrong as well. The truth – as it turns out – has about fifty shades of grey in it. How do we overcome this? We may not be able to (at least not in the next little while). We are the great discoverers. We are travelling off to the edges, poking around, testing the waters and trying (even when we don’t realize it) to draw some kind of map. What we have to realize is that the vast majority of news (as we had defined it prior to new media) has radically changed. We now have people (in fact, almost all of us) who report on events, provide information and create journalistic content. These worlds blend and shift and twist and we throw our hands in the air claiming that everything must be scrutinized or that nothing is to be believed, when – in fact – we’re not really questioning the content. We’re beginning to understand the most powerful component of media: what makes us believe something. In essence, new media is most amazing because people are beginning to doubt what they read, hear and see. There’s nothing wrong with that. In fact, it’s probably one of the best things that has happened to the news since it was created. The Huffington Post – What New Media Has Taught Us About Truth. Great article. I love everything you post. However, on this entry, although the message came through clearly, I detected several typos, and from one writer to another, am just trying to help a brother out. If you email them to me, I’m happy to update the post. I’ll take a read through (again). Thanks for letting me know. Very powerful. Houston we do have a problem and I think you really helped nail it on the head. There are so many media outlets today but majority of them are influenced by opinion. This actually makes me think of the new HBO Series, Newsroom. Have you seen it? Keep them coming Mitch! I love your blog & can’t wait for the new book! !